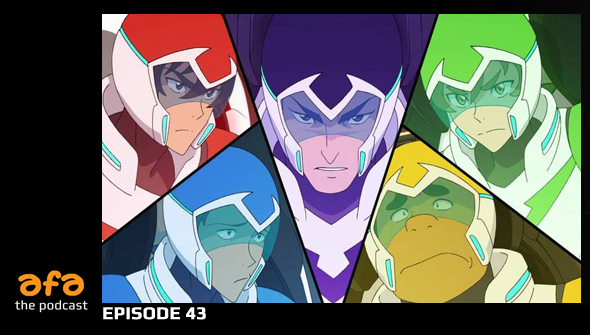 This week, Chris, Rachael, Dan and Yvonne assemble to form Team AFA and podcast about some cartoons... and a little show called Voltron Legendary Defender. First up it's news time, so we cover The new Moana teaser from Disney (0:04), Zootopia sequel possibilities (0:10) and some exciting news about The Breadwinner (0:22).Then Rachael and Chris talk some spoiler-free Voltron thoughts (0:39) and Dan offers some thoughts on When Marnie Was There (1:11). Finally, it's time to get into the prickly subject of a recent Marnie-related interview and what is says about Ghibli and Gender (1:28-1:49). Support us on Patreon to get an extended edition of this episode with extra content, (total running time 2 hours).